The 200hp Yamaha has approx. 200 hours and has never had a problem. Comes with an Aluminum trailer, new axles and hubs, new hardware. 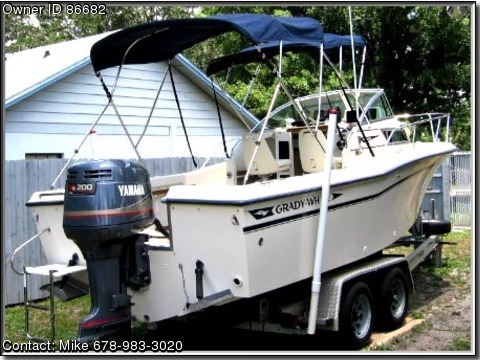 Has a Full Bimini top, and is in GREAT condition!